I'm an ex-Scimitaree who is hankering after another one! 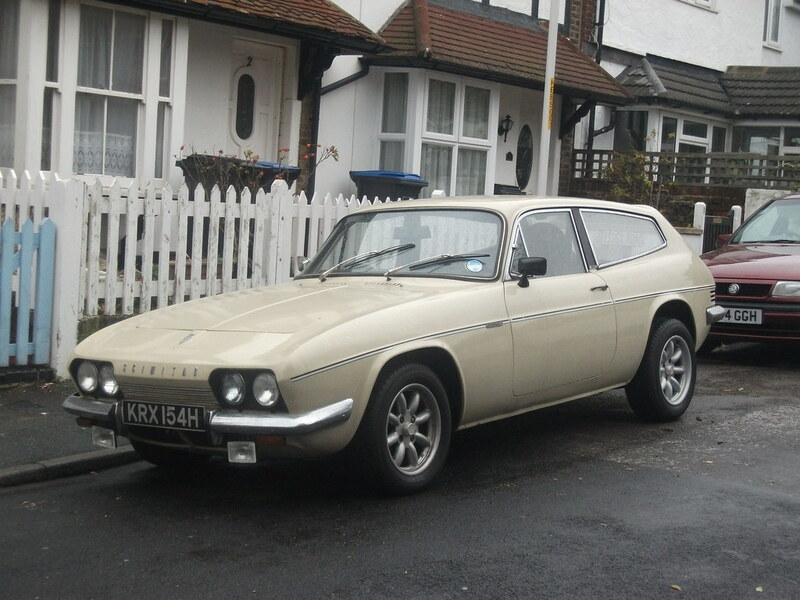 I first bought a 1970 SE5 (KRX 154H) heap in glorious beige from a friend's parents in the late 90's when I was 17. I got it back on the road and had to sell it a couple of years later due to entering the real world of full time employment. Roll on a year or so and I yearned for it back so I tracked it down and negotiated it's purchase. I used it as my main car for many years - I worked at several Halfords stores in/around SE London until I started working for a pharmaceutical company in Sandwich, Kent in 2006. Like most owners, I spent plenty of time and cash on it, rebuilt the engine, gearbox etc, fitted some lovely compomotive minilites etc etc. I was again forced to sell it due to company relocation to Cambridge in 2011. I've thought about it many, many times since as it was a very reluctant sale. I did see it on eBay a few years ago looking very sorry for itself - all the nice bits had gone and it was again a total shed. Unfortunately I didn't have anywhere to put it so passed it up. Anyway, now I fancy another and have my eyes peeled for a fixer-upper. Either SE5 (as I prefer the interior) or even something SE4ish. That's about where I'm at. Wife is not particularly keen on the idea but I've promised to get rid of a couple of bikes to make space and I *think* she's coming round. I've been looking through some of the threads on here and am mightily impressed by what some people have done! I've got some pics somewhere which I'll dig out at some point and maybe someone will recognise it. Welcome. And good luck with the hunt. Sounds like a fair compromise to me - good luck! Welcome to the forum and good luck with your search! I've always had an insatiable curiosity, and I couldn't resist asking Mr Google if he knew your old car. I was surprised to find he did! It turned up in the Photostream of this guy on Flickr: The info says it was taken on January 18, 2012 - it looked very smart back then. That's the one - not that long after I sold it. I found the eBay listing: https://m.ebay.co.uk/itm/Reliant-Scimit ... 663.l10137 looking a bit worse for wear up in Manc. Interestingly, there's a report from a "Scimitar club member" in there - anyone want to own up?